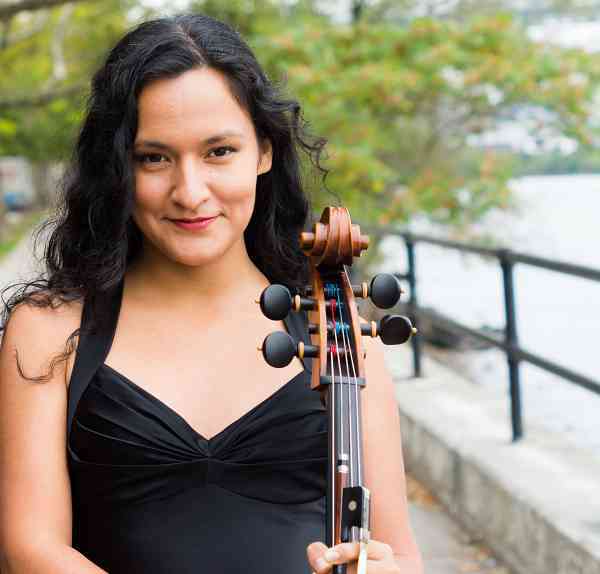 Nelly Rocha is a versatile cellist based in New York City. Equally at ease as a soloist, chamber and orchestra musician, Nelly has performed in Europe, Asia, Mexico and the United States in venues such as Carnegie Hall, David Geffen Hall Lincoln Center, Konzerthaus Berlin, Kultur und Kongresszentrum Luzern, Teatro Arcimboldi (Milan), Teatro Calderon (Madrid), China Conservatory of Music (Beijing), Auditorio Nacional (Mexico), Palacio de Bellas Artes (Mexico), BAM Opera House, Town Hall NY, El Teatro at Museo del Barrio, DiMenna Center, Le Poisson Rouge, and Symphony Space. Nelly participated in the Porgy and Bess 75th Anniversary National US tour and the Verbier Festival Orchestra European Tour. She has performed with the Distinguished Concerts International New York Orchestra, Miami Symphony, Philharmonic Orchestra of the Americas, National Lyric Opera, Reading Symphony, Rhode Island Philharmonic, Manhattan Camerata, New York Virtuosi, Camerata Washington Heights, Unitas Ensemble and Tsenov Chamber Ensemble. A passionate advocate of music by women, Nelly has performed recitals featuring female composers at the International Congress of Women in Music, the Encuentro Internacional de Mujeres en el Arte and the Universal Forum of Cultures. Nelly is currently the cellist of Quartetto Tomassini and has performed with artists including: Pink Martini, Deltron 3030, Watsky, Smokey Robinson, Aleks Syntek, Natalia Lafourcade, Ely Guerra and the Jingle Punks Hipster Orchestra. She has appeared on Mozart in the Jungle, the Late Night Show with David Letterman and can be heard in the SONY recording Mi Alma Mexicana with the Philharmonic Orchestra of the Americas. Nelly performs regularly with the non-profit organizations Concerts in Motion, which provides free concerts for seniors, veterans, the disabled and homeless, and with Music for Autism, which provides free autism-friendly concerts for individuals with autism and their families. In addition to performing, Nelly teaches cello at the Music Conservatory of Westchester. Nelly completed the two year Suzuki teacher training program at the School for Strings in New York under the tutelage of Pamela Davenport.